I have a problem transferring files with AirDroid web. If I just transfer one file it works fine, but if I want to transfer many files or a folder, the files are empty. Basically, when I unzip the archive I get a bunch of zero filled files. I mean, literally. If I do a hexdump of the files all I get is a lot of binary zeros. What is going on? I'm using a 64 bit Linux machine and the latest Firefox. I can zip and unzip files in my system without problems, only the zip files created by AirDroid seem to fail. Go to Settings of AirDroid app, change the Encoding for zip file from GBK to UTF-8 (or UTF-8 to GBK). Try if this helps. I've just changed from UTF8 to GBK, but it didn't help. I have recently come across the same problem. Worked fine before but not now. I am transferring by WiFi from a Galaxy S4 to my desk top PC running Chrome Version 42.0.2311.135 m on W7. Will not transfer multi images, only individual images. Have tried UTF8 and GBK. No difference. Sorry, we'll look into this. Sorry that we can't reproduce the issue on our side and that make it hard for us to track the cause of it. 1. Does this issue always happen when you download files from that device? 2. Please tell me your device model, Android version, language on your device. 3. What's the connection mode are you using, LAN, Remote, or Lite? 4. What's the file type you tried to download from your phone? Or you got the same issue with all file types? If the files are not personal or private, can you send them to us so that we can try again on our side? 1. Yes, it always happens when I download multiple files from my device. 2. It's a Samsung Galaxy SIII mini, Android version 4.1.2, Catalan language. 3. I'm using my home wireless network to connect. Using Firefox 37 under a Linux 64 bit Debian Jessie. 4. The issue doesn't seem to be related with any particular file type. I have tried with all kinds of files: JPEG pictures, plain text files, mp3 songs, mp4 videos... They all fail. I can send you a sample zip file with two pictures in it if you want. How do I do that? Oh, sorry that I forgot that. 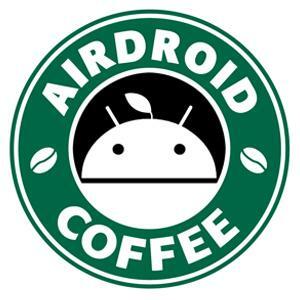 Please mail to coffee@airdroid.com. As to the 3rd question, I mean the connection mode between your phone and computer, you can check that at the bottom right corner of the browser. after having the exact same problem since month ... digged into it today again ... and finaly ..
so it is obviously a problem with ubuntu/debian 64bit? GUI or KDE desktop integration tool. the zip files inetegrity is fine! try unzip on the command line!